I fell in love with the quiet dignity of Iris. I always wonder what champion dogs like Iris think when they perform. She seems to enjoy herself in the big arena. 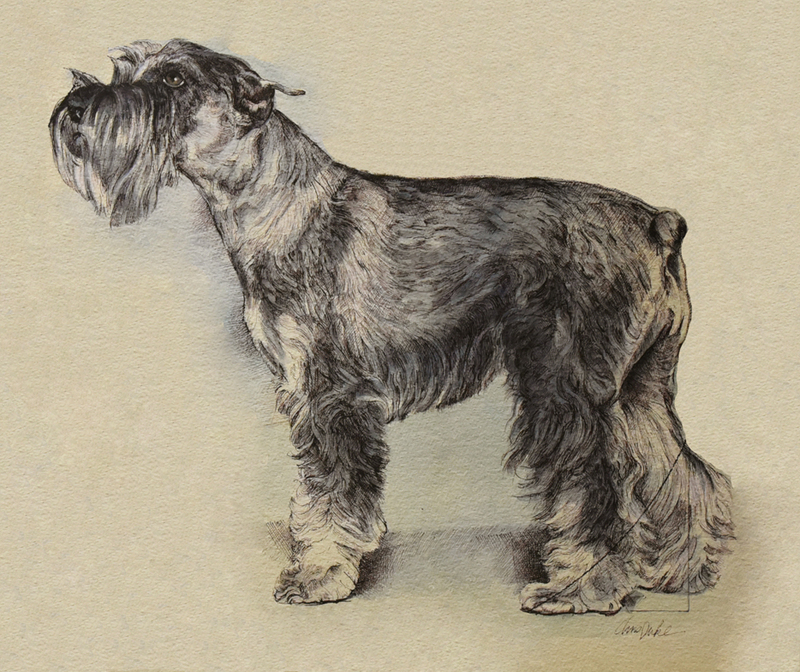 Doing this art, I decided that I love Schnauzers.